B-1 Business visa: entering the U.S. for conference, training, business visit purposes, etc. M-1 Student visa: coming to the U.S. as a vocational student for majors such as healthcare assistant, mechanician, nurse, etc. J-1 Exchange student: coming to the U.S. as an exchange student, scholar, graduate student, or for training purpose. NKL Law provides services including but not limited to: consultation for major of study; help student and his/er dependents to prepare documents and visa interview; change of status documents and visa interview preparation for students in the U.S.
H Work visa: maximum 6 year work visa duration; normally sponsored by an U.S. employer and approved by USCIS. 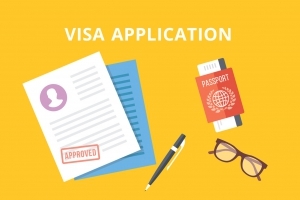 H-1B visa category is for professionals with at least a bachelor’s degree in related field of study; H-1C visa category is for registered nurse; H-2B visa category is for non-agriculture workers; H-3 is for training purpose. L Manager or Skilled worker visa: L-1A is the visa category for manager or executive transferee from a foreign company to its U.S. subsidiary or parent company; L-1B is the visa category for skilled worker transferee from a foreign company to its U.S. subsidiary or parent company. NKL provides services such as: consultation for visa eligibility including setting up new U.S. subsidiary, obtaining L-1A visa and subsequent EB-1C greencard; new U.S. subsidiary company structure and operation; documents preparation for USCIS submission, state government registration; L-1 worker’s family visa application preparation, etc. K-3 visa is for spouses of U.S. citizens. K-3 visa holder could change to green card status in the U.S. or obtain immigration status by consular interview in their home country. K-1 visa is for fiancee of U.S. citizen. K-1 visa holders could adjust status to green card within half a year after entering into the U.S. border. O visa is a visa category for people possessing extraordinary ability in the science, arts, education, business, or athletics, or who has a demonstrated record of extraordinary achievement in the motion picture or television industry and has been recognized nationally or internationally for those achievements. R visa is for religious purpose. NKL Law provides consultation for all above visa categories including but not limited to visa application and interview preparation. For groups coming to the U.S. to perform artistic shows, or for formal visit, NKL will help to contact related agencies on NKL clients’ behalf.